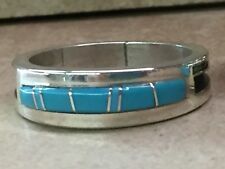 Native American Indian Arts & Crafts of 14 kt gold and Sterling Silver Jewelry made by members of the Zuni, Navajo, Hopi tribes. Hopi Kachinas, Zuni fetishes, Pottery, Artifacts. Earrings, Pendants, Rings, Necklaces, Watchbands, Bracelets, Artifacts, Baskets, Large selection of Tommy, Rosita & Richard Singer Jewelry. "Certificate of Authenticity".